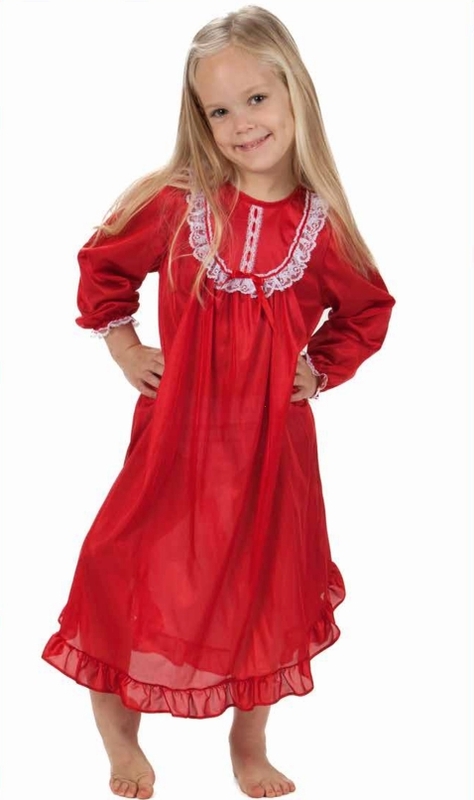 Yes, they do still make old fashioned nightgowns for babies, toddlers, little girls, and big girls too! 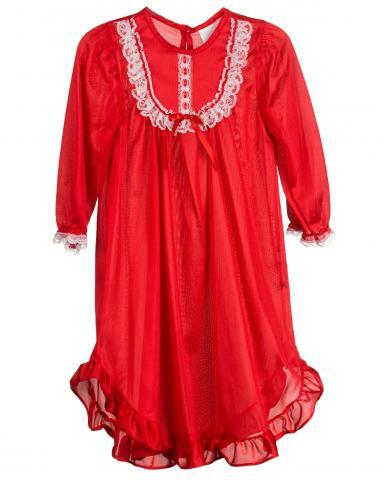 Here's the most adorable red ruffly soft nylon nightgown with long sleeves for the holidays! Perfect for your little Valentine, too! 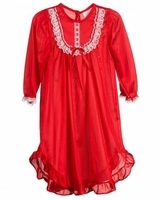 This darling little nightgown is also available in rosebud print with long or short sleeves and in pale pink nylon with short sleeves. See below. So sweet and feminine for all your girls! Matching footed pajamas and nightgowns for newborns are also available.